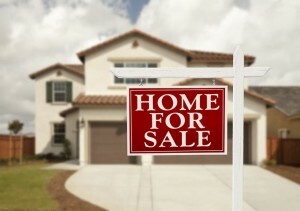 If you are selling your home, it’s important to keep safety in mind. Although problems are unlikely, it’s always a good idea to do whatever you can to protect your family and personal belongings. Here are several ways to make your selling experience as worry-free as possible. Work with a real estate agent. People will notice when the for-sale sign goes up in your front yard. You may even get a few prospective buyers stopping by unannounced, asking if they can take a peek inside. Protect yourself by asking all buyers to schedule a showing through your agent. Remove jewelry and valuables. If you have a habit of tossing your watch on a bedside table, it’s probably best to find a new spot while your house is on the market. Likewise, consider moving cash, savings bonds, jewelry, and other valuables to an off-site location, such as a safe deposit box. Lock up paperwork. Keep mail, bills and financial statements in a secure location and not laying on countertops or on top of desks. Clean out your medicine cabinets. Remove all prescription medications. Get a furnace checkup. It’s always a good idea to have a furnace checkup and change your filter before you flip the switch each fall. Filters generally need to be changed every 1-3 months, depending on the type of furnace you have. Once you know the proper filter size, don’t hesitate to buy extra, so you’ll have them on hand the next time. Check your safety devices. Change the batteries in your smoke detector and test your carbon monoxide detectors. Clean out your gutters. Before the first snowfall, clean the autumn leaves and debris from gutters to prevent ice dams and water leaking into the wrong places. Disconnect and roll up those hoses. Before night temperatures regularly fall below freezing, empty and roll up your garden hoses. Check for drafts. When things cool off, it’s usually pretty easy to pinpoint any window and door seals that may not be effective. If you find a window that is letting in too much cool air, consider re-caulking the seal. If you find a door that’s still allowing a breeze, buy a simple weather strip to install in the gap. These adjustments can also lower your heating bill throughout the season. Prepare your yard. Keep up with the leaves; they can damage your lawn over the winter if they aren’t removed. Fall also is a great time to have a professional trim your trees before winter storms hit. Don’t forget to move temperature-sensitive potted plants indoors. You can also get an early jump on next year’s landscaping by planting some winter-hearty bulbs (like tulips or dahlias) for a brighter spring. Don’t think you’ll be able to afford to buy your first home anytime soon? The good news is that when it comes to finances, little efforts can lead to big results. These four strategies are designed to help you and your family spend less, save more and get ready for the financial responsibilities of becoming a homeowner. Re-examine major spending categories. Make a commitment to examine your major spending categories, including cell phone, cable service and utilities. Are you paying for any features or time you aren’t using? Could you go with a cheaper plan? What about your land line — do you really need it? Call your service providers and see if they have any less expensive plans, promotions or ideas to help you save money. Shop around or ask for a better rate from the companies you regularly pay money to. Look at where the pennies are going. Bi-weekly trips to Starbucks or the office vending machine, lunches out, takeout twice a week and recreational shopping sprees all add up. Quitting cold turkey may not work, though. Scale back gradually. And remember it’s still important to enjoy a splurge now and then. Put savings on autopilot. Consider making a commitment this year to enroll in or expand your participation in automatic savings plans. Think about enrolling in your employer’s 401(k) plan, making sure to take advantage of any match that’s offered. Also consider having an amount from your paycheck automatically diverted into a savings account or other savings vehicle. If your employer doesn’t offer this option, have an amount automatically transferred each month from checking to savings. Many families start saving for the holidays in January and by fall, have enough money set aside to buy presents come Christmastime. Others use automatic savings plans to accumulate three to six month’s worth of living expenses in an emergency savings account. With automatic savings plans, you won’t forget to write that check. And you’ll be surprised just how quickly automatic savings add up. Go easy on your credit cards. Carrying a credit card balance with a double-digit interest rate is a big wealth-zapper. Plus, study after study has shown that consumers who pay with plastic spend more than those who use cash. Make a plan to pay down credit card debt. One way to do this is by taking only cash to the store. Many financial advisers believe ditching credit cards should be the first financial priority for families. Even seemingly small resolutions, such as taking your own lunch to work instead of going out each day, can save you hundreds of dollars over the course of a year. Adopt a few financial resolutions this year and you’ll be surprised at how much progress you can make by this time next year! More exposure. Homes offered by owner get less exposure to home buyers, and in multiple offer situations, fewer bidders. The higher the number of bidders on a property and the more exposure a property gets, the better, when it comes to a home’s selling price. Pricing assistance. A common mistake among those selling on their own is pricing their property too high or too low. A real estate agent is armed with information that can help you price your property right so that it sells quickly without leaving money on the table. So it’s not difficult to understand why the typical FSBO home sold for $185,000 compared with $240,000 for agent-assisted home sales. Real estate agents can be a tremendous help in setting the right listing price and helping home sellers get the most for their property. Assistance with selling process. Real estate agents do many tasks other than simply helping you get the most money for your property. Agents manage all of the required paperwork involved in selling a home, help the seller determine things they should do before they list their home and during the listing process, and coordinate the other professionals involved in a home sale, such as an inspector and appraiser. How safe is your home for children? Moving into a new home? If you have children, it’s a great time to make sure your home is safe for the smallest members of your household. Every 30 minutes a child in the United States is injured as a result of a TV or furniture tip-over incident. Most of those injuries happen at home, involving children younger than 7 years of age. So how do these injuries happen? Generally, they come from climbing. Children spot a toy atop a dresser or bookshelf and decide to monkey their way to it. The unfortunate result is that the child’s weight tips the furniture over. When it comes to television sets – which constitute about half of all injuries – the problem usually comes from oversized screens toppling over. Secure your television. Televisions that are not wall mounted should still be anchored so they won’t topple over. Read all instructions. Follow all manufacturer instructions to secure TVs and furniture. Secure top-heavy furniture. Bookshelves, dressers and other types of furniture are prone to tip-overs. Secure furniture to the wall and/or install anti-tipping devices. Remove tempting objects. Remove items that might tempt kids to climb, such as toys and remote controls, from the top of the TV and furniture. For tips on how to make your home safe, check out this guide.